Adventure drives us and keeps us striving to get outside and see the vast world. I’d like to say it is as easy as just walking out of your front door and picking a direction only to see where you end up. That’s not always the case. Especially if we want to continue to enjoy adventure after adventure. That being said, it is always best to be prepared. 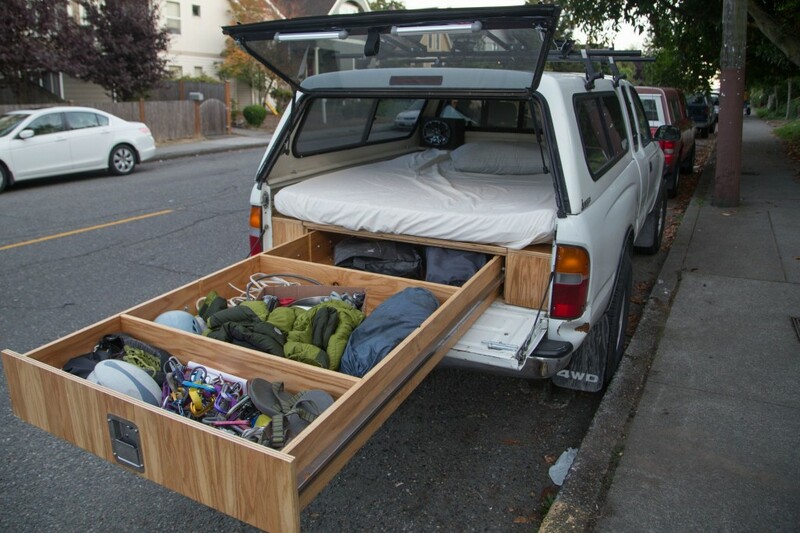 Being prepared for anything will make your adventures more comfortable and much more enjoyable. Being prepared will allow you to stay out longer and go further. One Reddit user took this logic and ran with it, creating something that any adventurer would be very jealous of. All in all, it was a fairly inexpensive build but will offer priceless conveniences for many memorable adventures to come. will offer priceless conveniences for many memorable adventures to come. 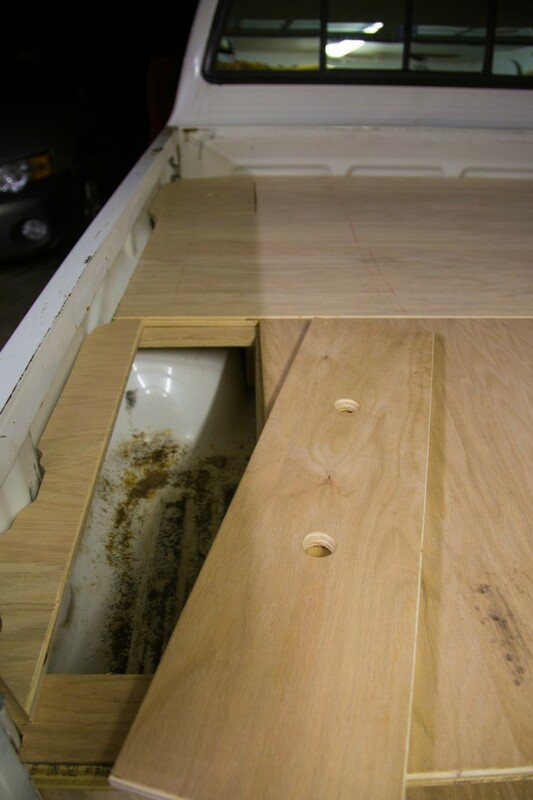 He started by cleaning out the bed of his truck and making some precise measurements. Once he had the numbers, he did a little math and cut some pieces of plywood according to his design. 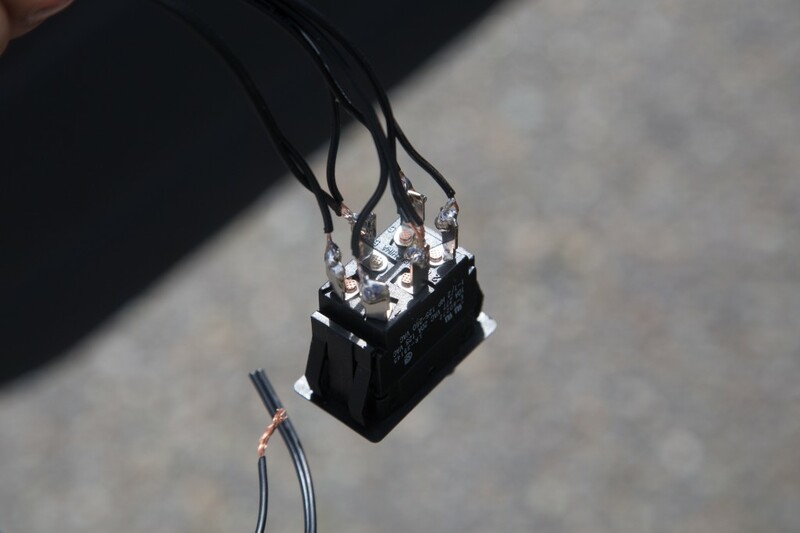 He then tests fit the main supports and added a very crucial part of this build. 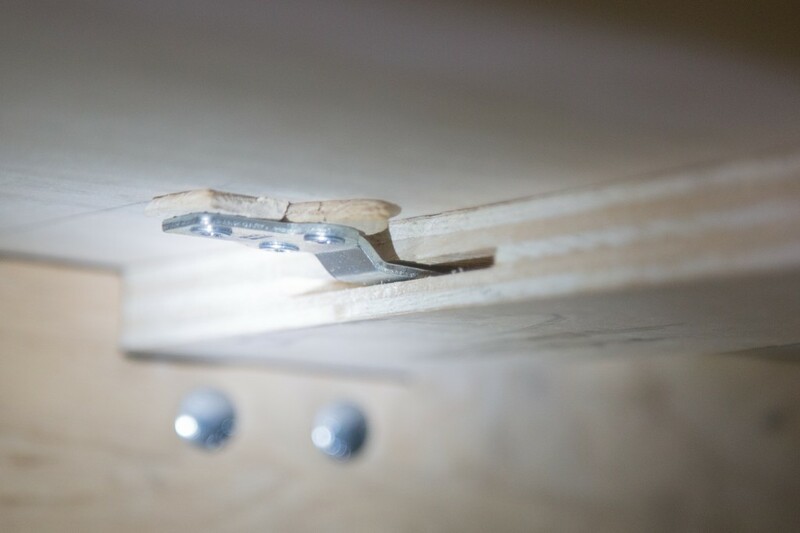 He added bolts with skateboard bearings to act as rollers. The bearings and bolts had to be lined up perfectly for this to work. 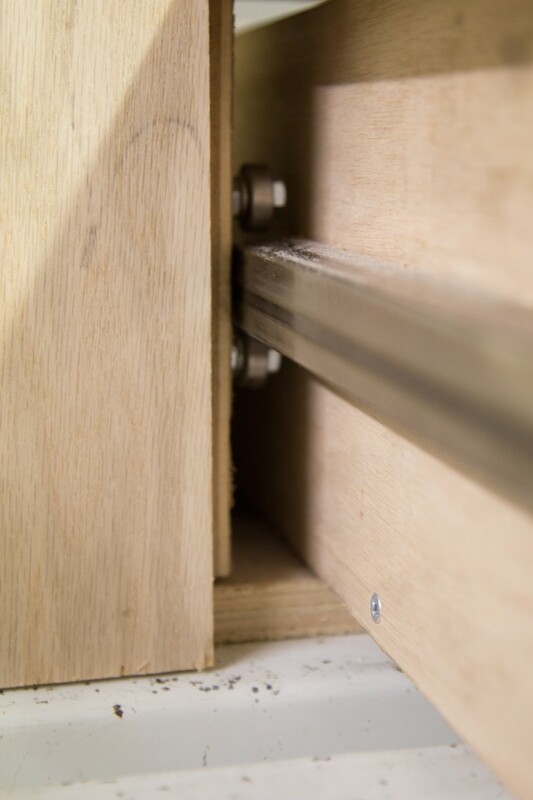 With some rails in place, it looks like the bearings were a success and this drawer system will work perfectly. 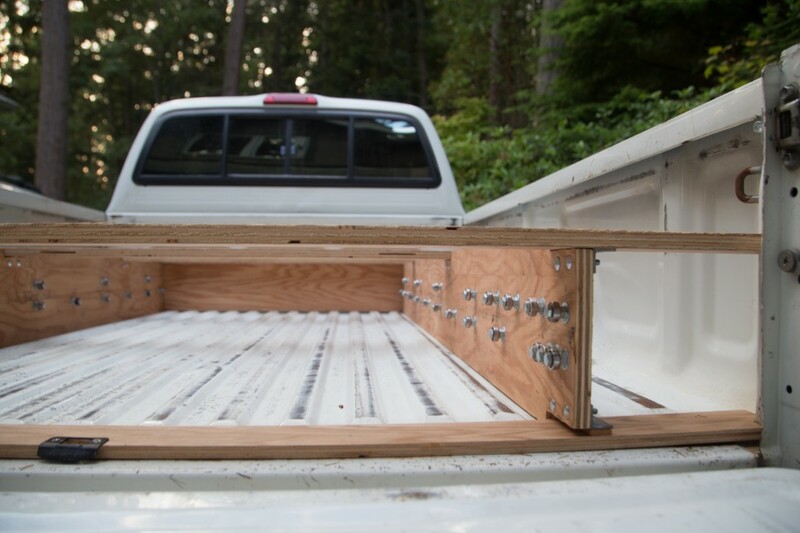 With the main drawer functioning properly, he cut some top sheets to cover the bed of the truck. This would provide a flat and sturdy base. 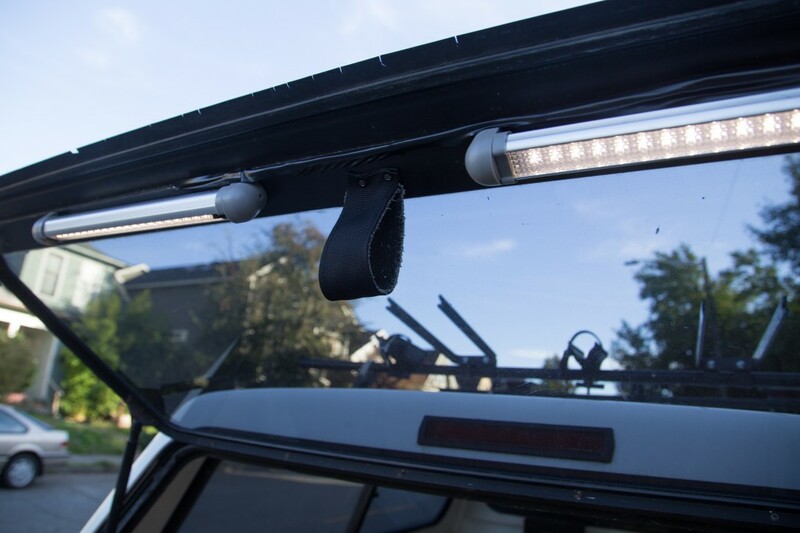 He created panels that are easily removed that will store batteries and other electronics. The top deck wasn’t sitting flush over the wheel wells and he needed this to be comfortable. A little time spent with a router seemed to do the trick. 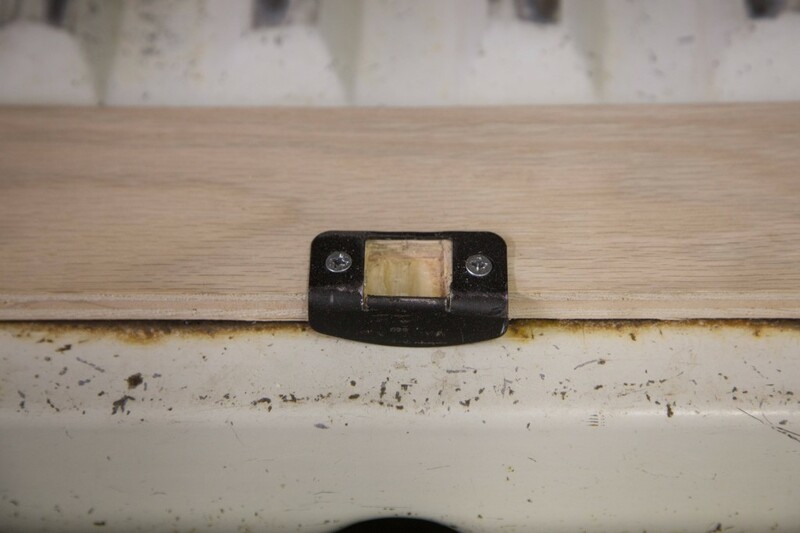 He then added latches for locking and securing the drawer assembly. Brackets were added to lock everything in place. After everything was test fitted it was time for final assembly. 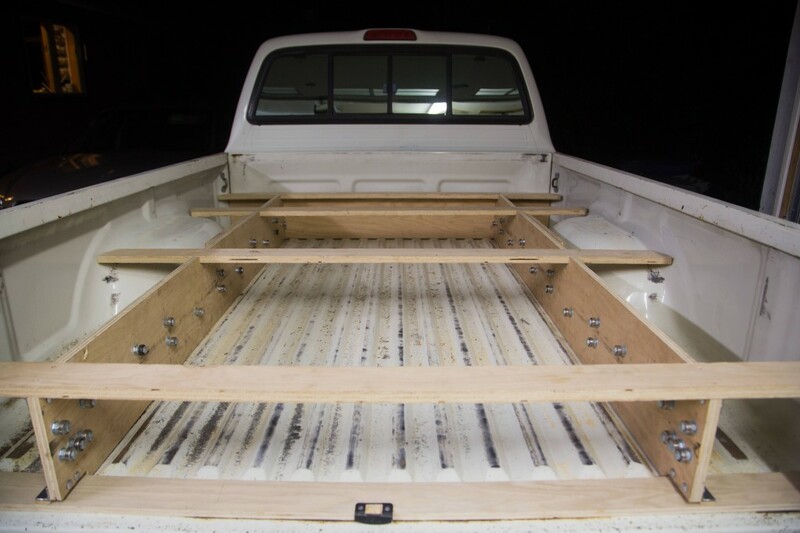 The frame was coated with Thompson’s Water Seal to ensure this lasts a long time for many adventures. 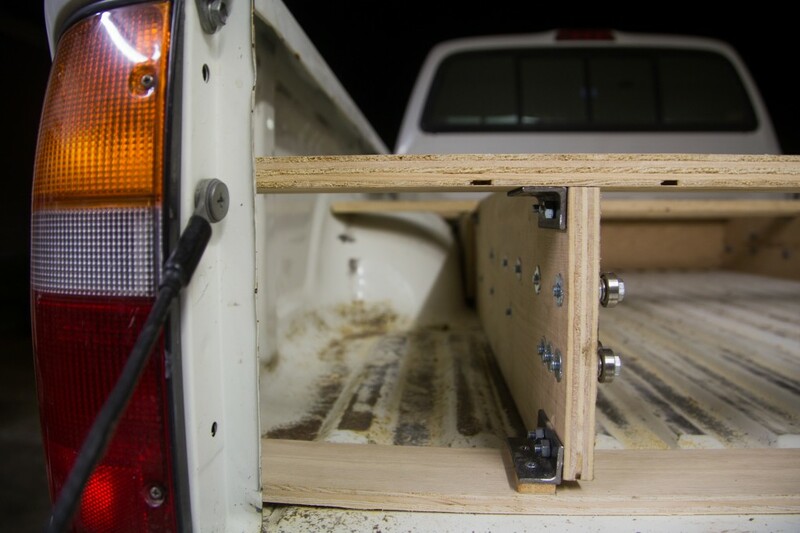 He added a shell to the bed of the adventure truck and wired some LED lighting to the rear hatch. 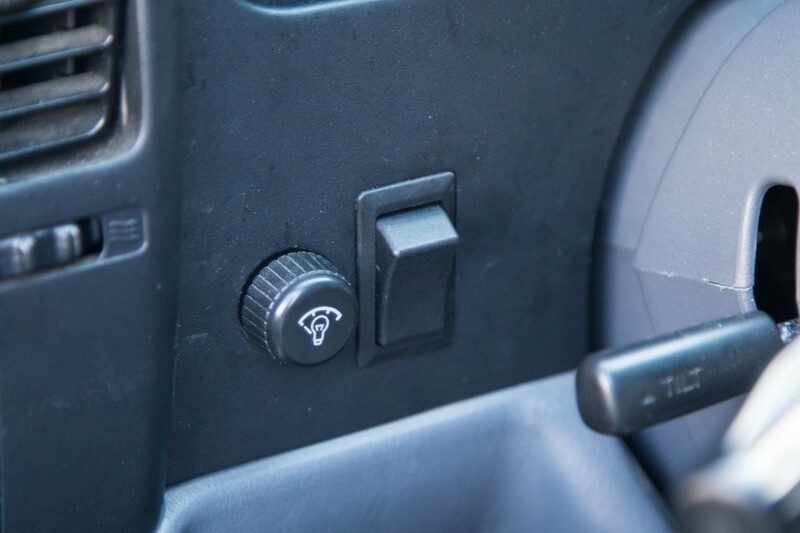 He added a sound system that is able to turn off and on from the dashboard. Looks like it came from the factory. The end result is pretty freaking sweet.